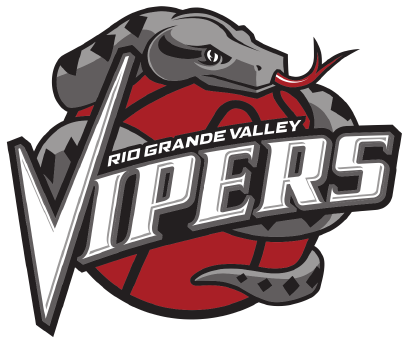 HIDALGO — The RGV Vipers were in the driver’s seat for a majority of Tuesday’s game against the Canton Charge, a kids day matinee, only to fall in a 109-107 heartbreaker. The Vipers led by as many as 17 and nine in the final frame before faltering late. The loss was especially hard to swallow considering the drought late in the fourth quarter. The Vipers scored their last points with 5:47 to play, making the score 107-99, then allowing 10 straight points including a buzz-beater by Gerald Beverly to win the game. “You lose a close one that probably shouldn’t have been close, but it’s a lesson you learn,” Brase said. Rockets assignee and 2016 2nd-round draft pick Zhou Qi was back in the lineup after a stint with the NBA club and a flight down Monday night. He was mostly a non-factor on the scoreboard with only six points and five rebounds. His return didn’t translate to points primarily due to his 0-6 first-half shooting and one for eight from beyond the arc. He saw his first points from foul shots with 4:31 to play in the third. The Vipers’ big man who was making a big impact was Isaiah Hartenstein, who had a season-high 22 points. The 7-footer had eight rebounds and the defensive assignment of guarding former NBA champion Kendrick Perkins. Hartenstein said he paid respect to the big man who earned a championship ring in his fifth season in the NBA. Perkins was held to 14 points, mostly being guarded by the 19-year-old. Hartenstein credits more aggressive play and working closely with coaches as to why his game has been on an uptick. There was a lid on the basket from three-point range early. RGV only shot 1 for 9 on their first 10 attempts from the 3-point line. They ended the night with a passable 11-35. Monte Morris drained a rare first-half 3-point FG to make the score 43-26 with 7:29 to play in the second quarter. Morris had 20 points for the game, however he was stripped with 24 seconds left to set up the game-winning possession for the Charge. Chris Walker added 13 points off the bench including a few heavy jams to get the crowd of 5,738 youngsters on their feet. Canton shot the 3-ball well as the first half went on. With 2:28 minutes left in the half, a London Perrantes transition longball shrunk the Vipers lead to 54-48. Perrantes, a product of the University of Virginia, had 16 first-half points and led all scorers in the game with 29 points. Vipers guard Briante Weber had 21 points and was critical of his team’s finish. He was also on a flight from Houston down to the Valley with Qi following the Rockets win last night. Neither saw minutes with the parent club.